Jernej Kruder has made the much-anticipated 2nd ascent of 'Es Pontas', which was first established by Chris Sharma in 2006. 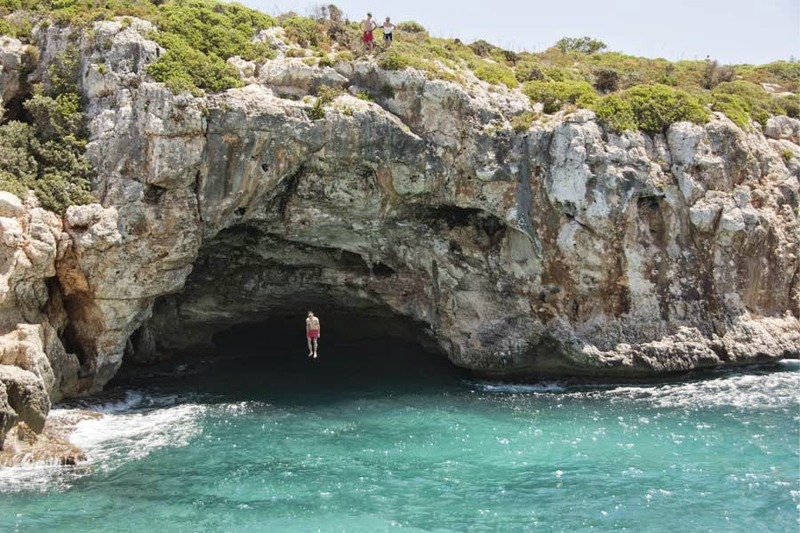 Es Pontas is thought to be the hardest deep water solo in the world and is situated under a stunning arch in Mallorca, Spain, with a grade thought to be 9a+. The route was originally featured in the climbing film 'King Lines' in 2007 showing Chris Sharma's first ascent, which he climbed over 10 years ago now. The film focused largely on the huge dyno high above the sea that captured everyone's imagination. Although Ethan Pringle managed to find another sequence avoiding the dyno back in 2008, he did not manage to finish the route and the 2nd ascent was left available for other strong climbers to achieve. It took 26-year-old Slovenian boulderer Jernej, 37 attempts to achieve the 2nd ascent of 'Es Pontas' on the 1st November 2016. 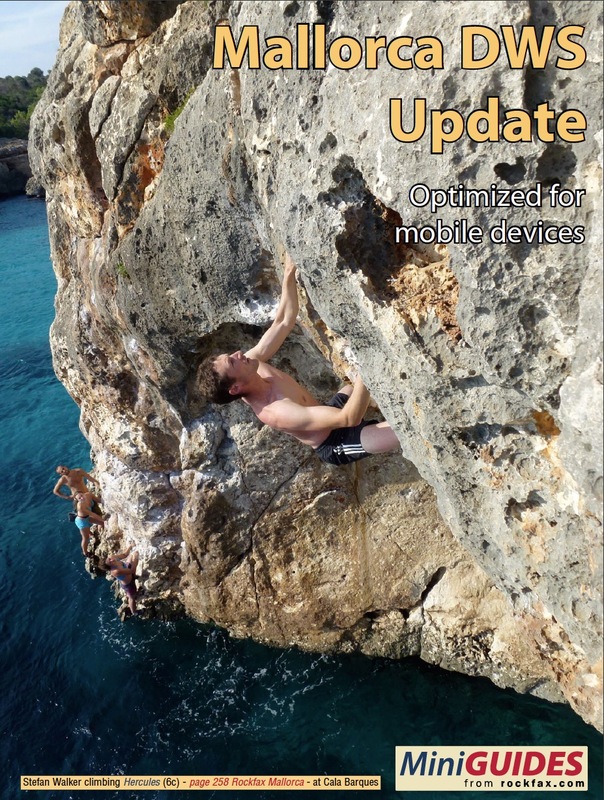 Jarnej also quickly achieved the 2nd ascent of 'Pontax', an 8c which Chris Sharma also established, which continues up for another 6 metres after the dyno on Es Pontas and finishing on the seaward side of the arch. 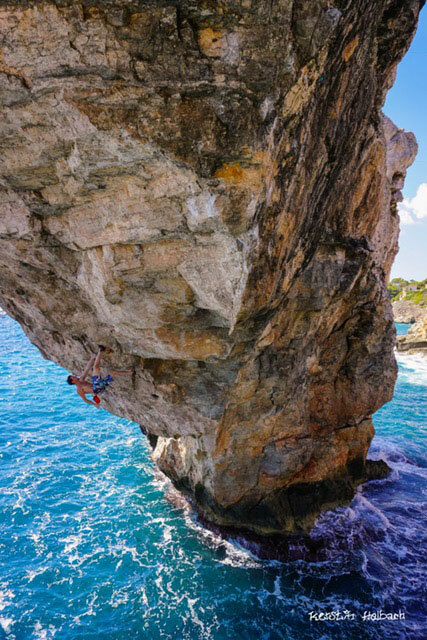 Jarnej has been on fire and managed to onsight Chris Sharma's 'Weather Man' 8a+, and the famous 'Loskot and Two Smoking Barrels' 8a+ at Porto Cristo. Jarnej is refusing to confirm a grade for Es Pontas, currently leaving the grade of 9a+ unconfirmed, but further ascents will undoubtedly confirm the grade. One very important factor that he mentions is how the head factor influences the grade significantly. It's also worth highlighting the inability to work the route easily from a top-rope although Jarnej did manage to work the upper half using a rope. Check out the UKC interview with Jarnej. You can also follow Jarnej on Instagram. The competition was held over August bank holiday weekend - watch the highlights here! The Psicobloc Masters Series DWS Competition Returns for 2016! The Psicobloc Masters Series is back at Utah Olympic Park USA for 2016! 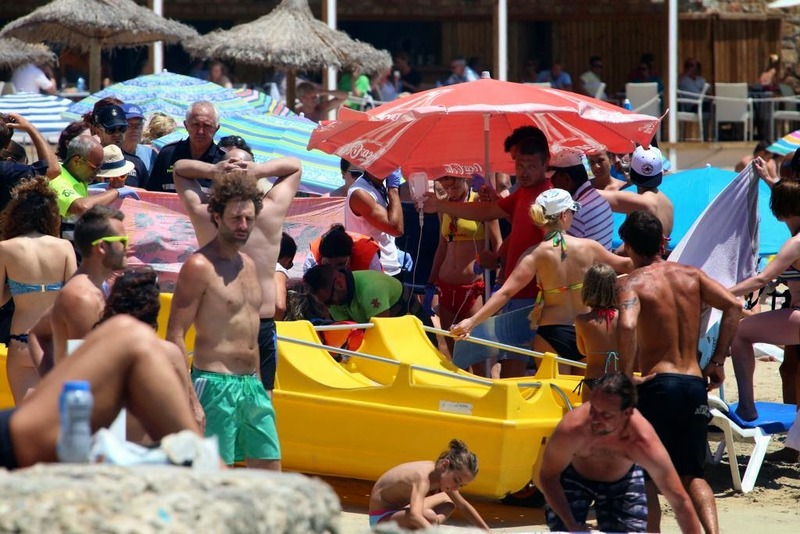 Finuco Martinez is the founder of the competitions which were originally held over a tidal river in the centre of Bilbao, Spain in 2011. 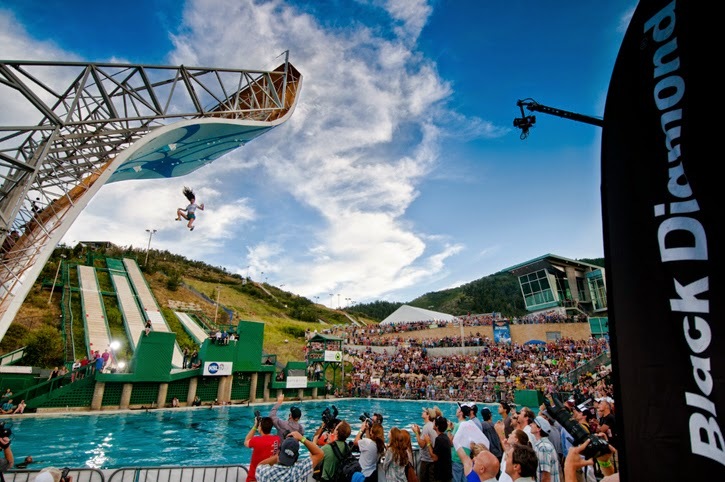 In August of 2013, the Psicobloc team brought the competition to Utah USA Olympic Park. Also originally inspired by Chris Sharma who contributed to popularise the sport with his solo ascent of El Pontas in Mallorca, the Psicobloc Masters Series will take place on a 50 foot high artificial wall, built over a ski jump training pool in the Utah Olympic Park. All competitors are competing for a cash prize and are required to climb up to the US grade of 5.12+ for females and 5.13+ for males at the finals. It was deep water soloing in Mallorca that inspired Chris Sharma for the competition, taking it to a bigger audience with the intention to show climbing to the world. The pool was originally built for the 2002 Olympic Winter Games and is now used as a training facility for freestyle aerial ski jumpers to practice their soft landings with the safety of the water. The pool contains 750,000 gallons of water and is usually ‘bubbled’ to soften the impact of landing. The top four fastest competitors from each gender in the Qualifier will pass through to the “seeding” or practice round with the invited climbers at the Olympic Park pool the next night on 5th August. All participants of the Seeding round will have a guaranteed place in the Psicobloc Finals, Friday 5th August at the Olympic Park pool. If you cannot make the event then you can watch the live web stream by Louder Than 11! Visit the Psicobloc Facebook Page here. Here is a short film that has been sitting on the hard drives of BigUp Productions for a while now. 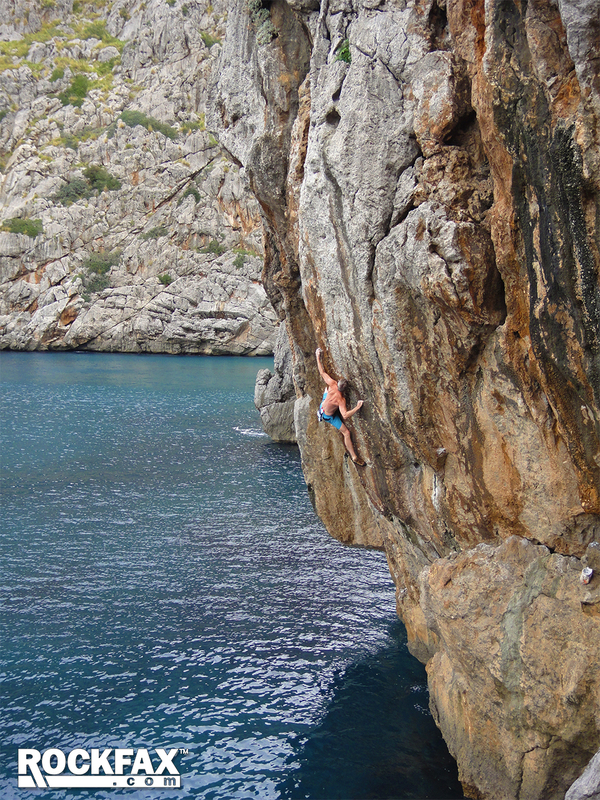 Film maker Brett Lowell was in Mallorca with Chris Sharma a few years back exploring some of the additional potential on the west cost of Mallorca. Port de soller which first saw developments back in 2003 also known to have potential outside of the bay area, but unfortunately due to the fact its only accessible by water, many of these spots have remained hidden from the public. 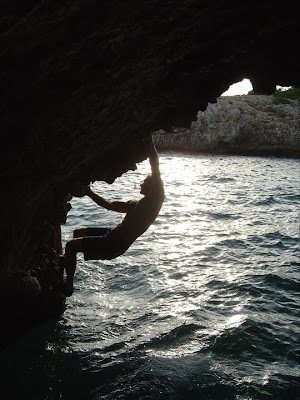 Chris Sharma comments about the film "I've been to some amazing places in my life but Mallorca may top the list as my favorite. When you see this video I think it's pretty easy to understand why. This is some footage taken a few years back exploring the amazing potential on the wild west coast around the village of Soller." Japanese climber Yuji Hirayama, French climber Caroline Ciavaldini and her husband British climber James Pearson head to France in search for some cheese, wine and climbing (well what else would you do in France?). Accompanying them is photographer Eddie Gianelloni and their manager Sandra Ducasse and filmmaker Francisco Taranto Jr. with their their children Tomas and Anna and their little dog Fellipo. 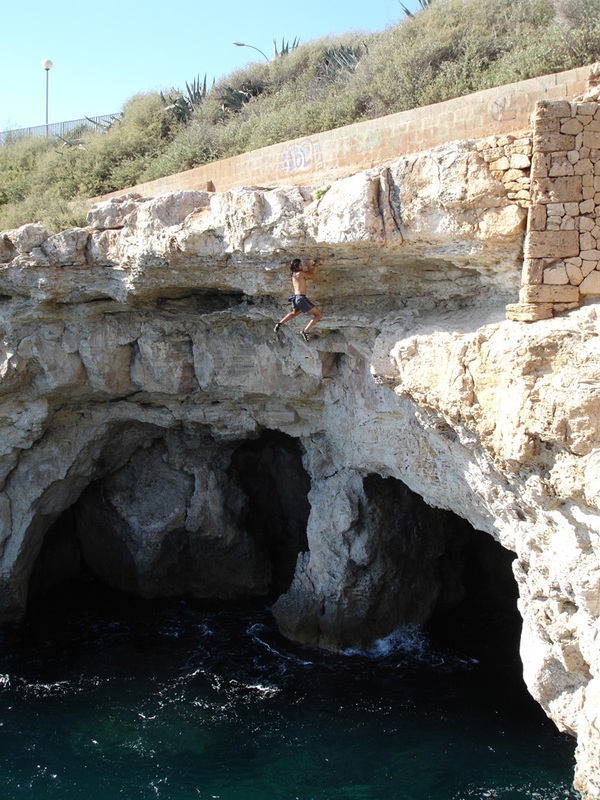 Cova Del Diablo in Mallorca - A deep water soloing paradise. Neil Gresham, Mike Robertson and Gavin Symonds visit again to climb what they believe is the best deep water soloing crag they have climbed. Psicobloc Masters Competition is back for 2015! 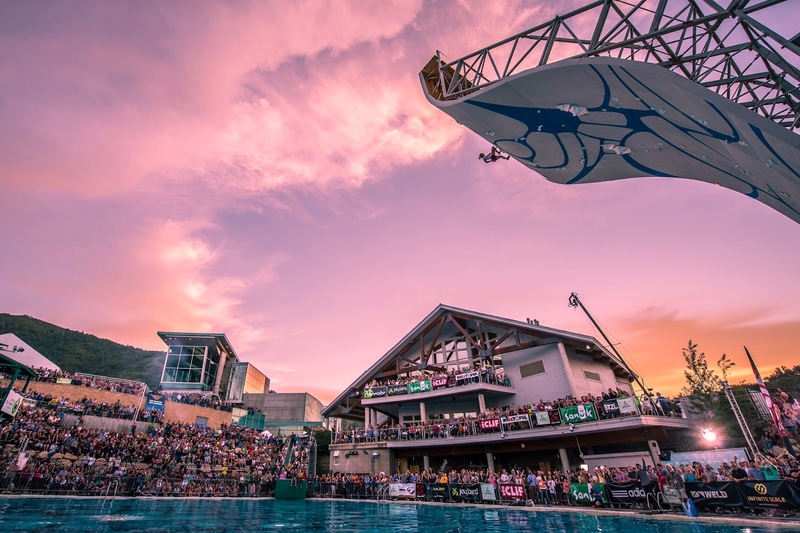 This years' Psicobloc Masters will be taking place at the beginning of August at Utah Olympic Park USA, with the qualification rounds taking place on August 5th, seeding taking place on August 6th and the grand finals taking place on August 7th. 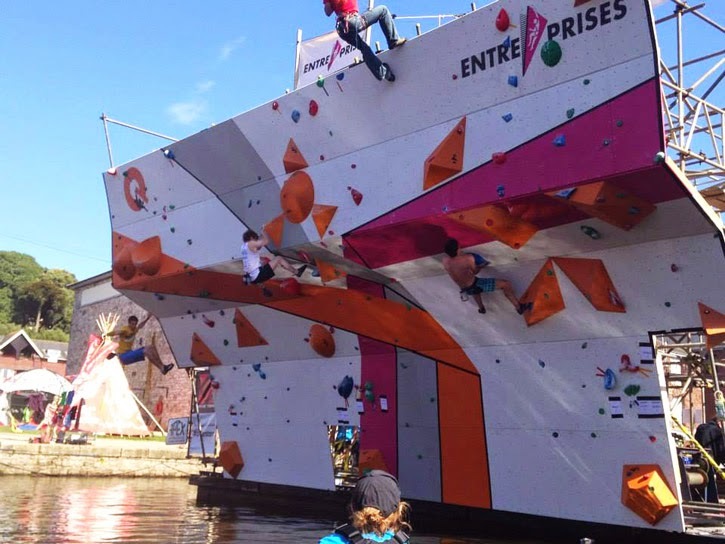 Last year saw the likes of top athletes such as Chris Sharma, Sasha DiGiulian, Jimmy Webb, Daniel Woods, Alex Johnson and many more take part. If you are not in the USA but would still like to watch it live, then you can watch the live stream by Louder Than 11 online. For the finals, climbing begins at 7pm (Utah time), so wherever you are in the world, please note the time differences! To find out more about the event and to keep up with any updates, visit the Psicobloc Masters website. Neil Gresham and Mike Robertson in search for DWS in Sicily. They come across two exceptional new climbs, including a big roof climb 50 feet above the waters, one a 7c and another still a project. In this short film, Neil Gresham talks about 'The Abyss' graded at french 7b S3 located in Pembroke which towers 50 metres high. Also 'Cavemen' in Berry Head Devon graded at french 7a+ S3 towering at a whopping 125 metres high! Climbers Leah Crane and Neil Gresham visit Vietnam's Ha Long Bay in search of new deep water solo routes in the beautiful setting where the famous James Bond film 'Tomorrow Never Dies' was filmed. Leah and Neil explore the untouched limestone spires making their mark with first ascents and experience the Vietnamese culture. 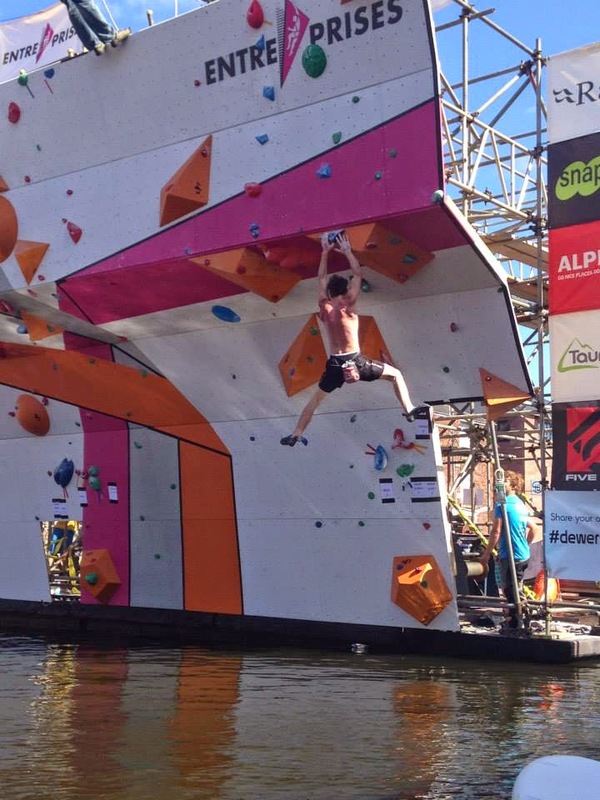 The UK's Deep Water Soloing competition hosted by Quay Climbing Centre in Exeter is back this year better than ever, as a four day climbing festival on the UK's only climbing wall above water. This year the festival will be held over the August bank holiday (29th - 31st August 2015) with the wall being open on the evening of the 28th and qualifiers on the 29th, with the semi finals and finals on the 30th August. The bank holiday Monday on 31st will see more DWS along with other outdoor activities on the Quayside. This year the wall will be adjusted with the overhang extended to make it more of a challenge for the elite climbers. The competition is open to anyone and you can sign up here. Here is the new video "Getting Wet And Wild On The World's First Floating Climbing Wall | DWS, Ep. 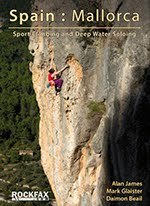 3" which is part of the Neil Gresham DWS climbing series of films exploring Deep Water Soloing around the world. 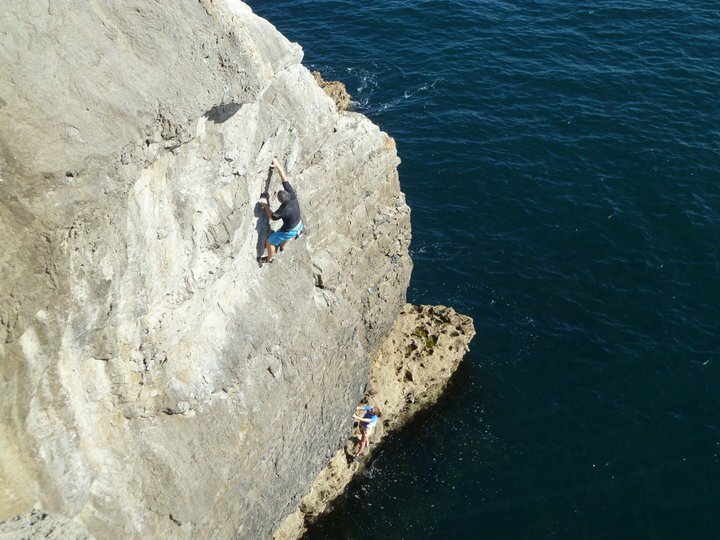 The Pembroke, Swanage and the Devonshire coasts have long played host to some of the country's finest traditional lines and this short film captures the British deep water soloing spirit. 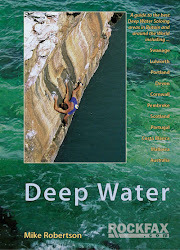 If you have deep water soloed in the UK, you will certainly recognise some of the venues featured. 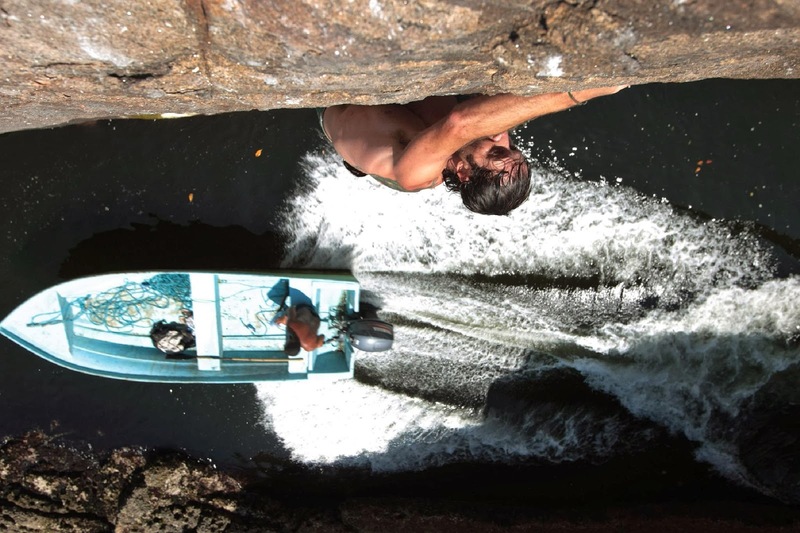 Deep Water Soloing around the world, brought to you by Neil Gresham. After 30 years of climbing, Neil takes you on a journey to explain why DWS is still his favourite type of climbing. Footage from Turkey's developing DWS hotspot which was part host to the 2014 Petzl RocTrip. 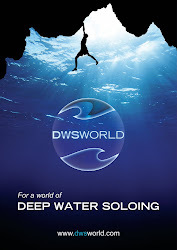 The area known as Olympos has several DWS venues which offer some excellent lines. 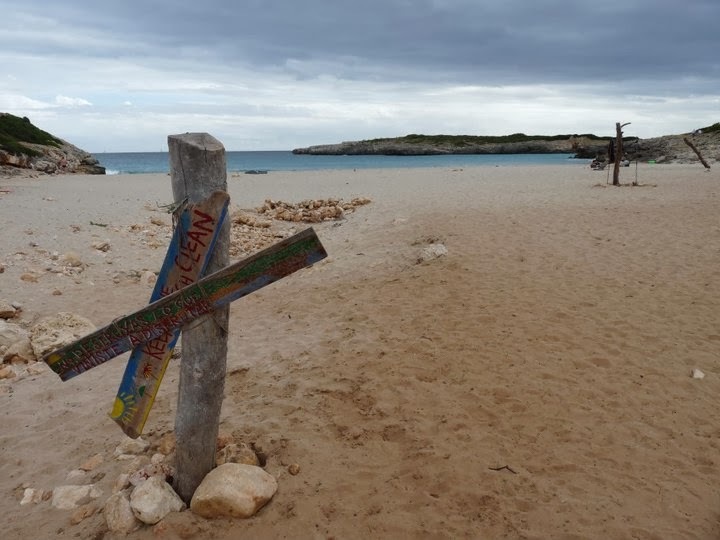 The venues have a feeling similar to Mallorca with the height of the lines ranging between 5m and 20m. The only down side is that the best areas are only accessible by boat which keeps this venue quiet, unless it's invaded by the Petzl RocTrip that is. 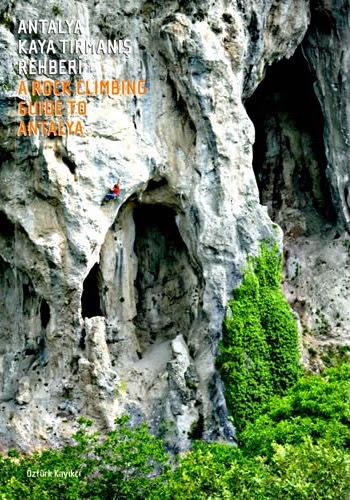 For more information on the area check out the area guide book "Rock Climbing in Antalya" which is available at all good climbing book stores. Footage of DWS starts about 11 minutes in. The first ever UK deep water soloing competition took place over the weekend and saw some great performances from some well known British competition team members, as well as strong Exeter locals, Neil Gresham and US climber Sierra Blair-Coyle. 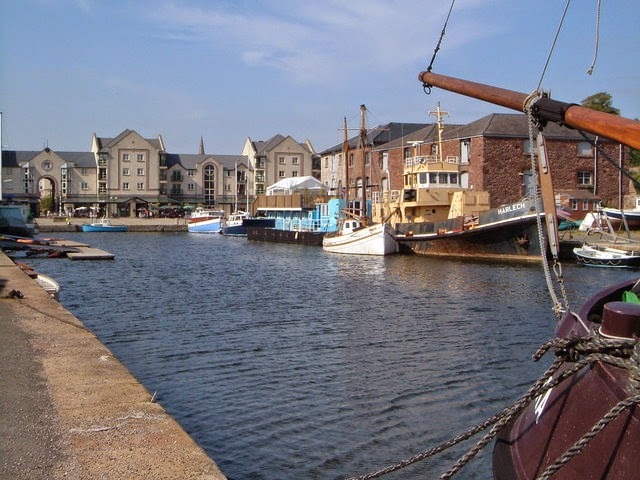 The Quay Climbing Centre is fortunate enough to be situated next to a canal basin where the Entre-Prises wall had been constructed then moved out into the waters on a floating pontoon. An enthusiastic audience cheered on all who took part, as they attempted to climb the seven metre high competition wall with a three metre overhang above the cold British waters. Although not as high as the USA Psicobloc Masters wall in Utah (the report for the USA event can be found here), the British version was more a bouldering wall than a long stamina route wall. 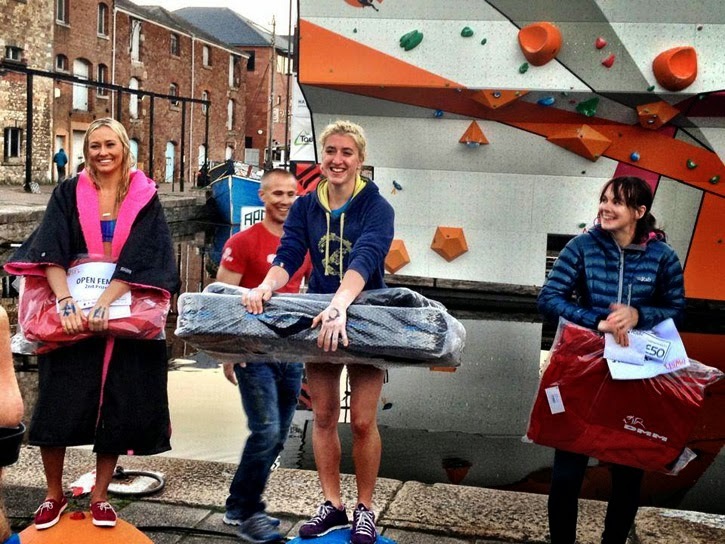 Although the UK is a major destination for climbing, it is still difficult for the UK to hold DWS events such as this, and it was with great appreciation that US climber Sierra Blair-Coyle attended, as this will bring international coverage to the event. It was not an average day at the quay-side with a good turnout of spectators and and vibrant atmosphere, lets hope this is the first of many more UK DWS comps to come. 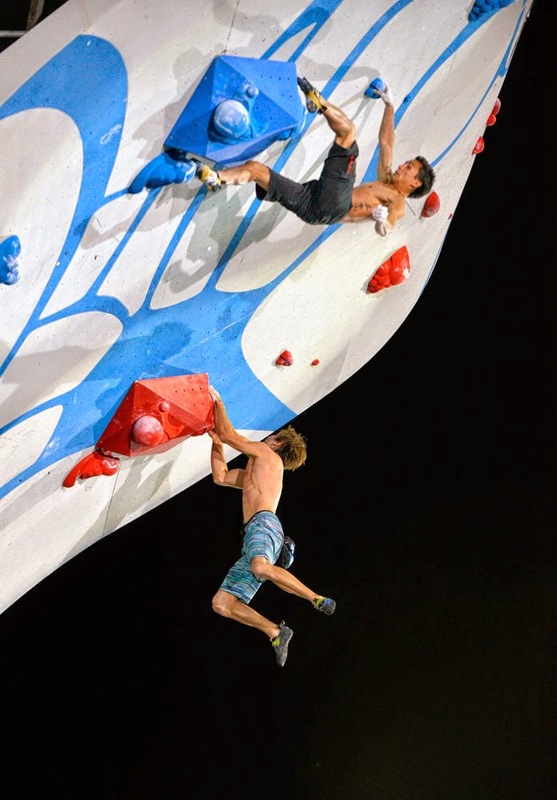 The success of last year’s event caught the attention of some of the best climbers eager to try this unique competition style of climbing. This year attracted talent such as Chris Sharma himself, Sasha DiGiulian, Emily Harrington, Ashima Shiraishi, Alex Puccio, Jimmy Webb, Alex Johnson, Delaney Miller, Matty Hong, Daniel Woods amongst many more. 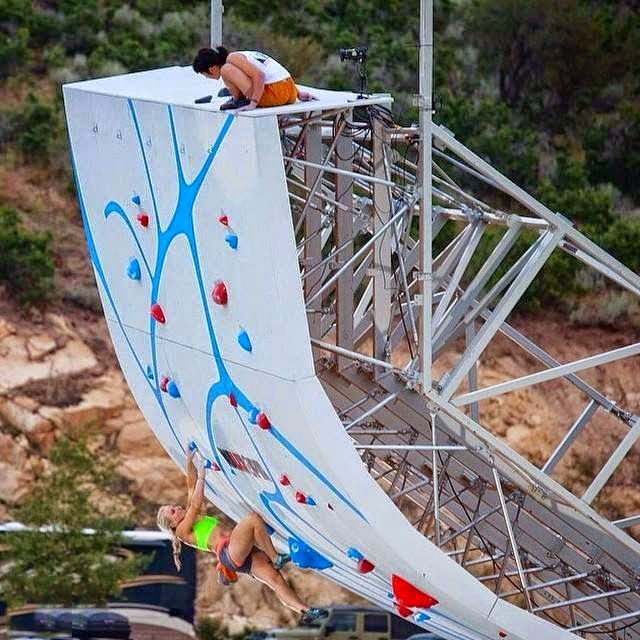 Organised by Chris Sharma, who contributed to popularise the sport with his solo ascent of El Pontas in Mallorca, the Psicobloc Masters Series took place on a 50 foot high artificial wall, built over a ski jump training pool in the Utah Olympic Park. All competitors were competing for the $30,000 prize and were required to climb up to the US grade of 5.13c for the finals. 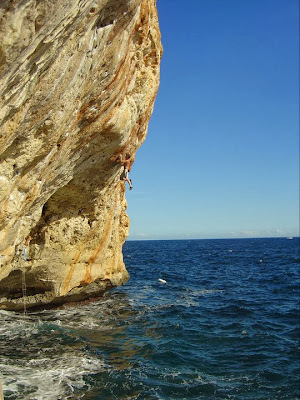 It was deep water soloing in Mallorca that inspired Chris Sharma for the competition, taking it to a bigger audience with the intention to show climbing to the world. This year’s competition featured a qualifying round, allowing local climbers to test their skills against the professionals. Prior to the event, competitors were allowed a one day pool pass to test their climbing abilities on the Psicobloc wall, practicing taking falls of up to 50 feet into the pool below. Competitors climbed on identical routes head-to-head and the climber who reached the top first or got there the fastest moved onto the next round. The climber who won each duel would then advance onto the next round until only two climbers were left for the final. The routes were not as difficult as last year. This gave the climbers an advantage of knowing they could go for all the moves with confidence, adding to the extravaganza of the show. The women were up first with JC Hunter taking the first huge fall from 40 foot, and 16 year old newcomer Claire Buhrfeind completing the route and topping-out just for the fun of it. Ashima Shiraishi the youngest female competitor at only 13 years old was to follow, competing against a nervous Alex Johnson who slipped from a hold high up, giving Ashima a chance to take her time to cruise the top. Ashima Shiraishi waiting at the top for Emily Harrington. Alex Puccio and Meagan Martin raced to the top head-to-head for most of the route until Meagan, who was placed third last year, took the big plunge leaving Alex to advance on up. Alex opted to down climb a few moves with clearly a few head issues concerning the height, before she let go and dropped into the water below. Delaney Miller didn’t need to finish the route, with Angie Payne taking a fall mid-way up, this enabled Delaney to save her strength for the next rounds. 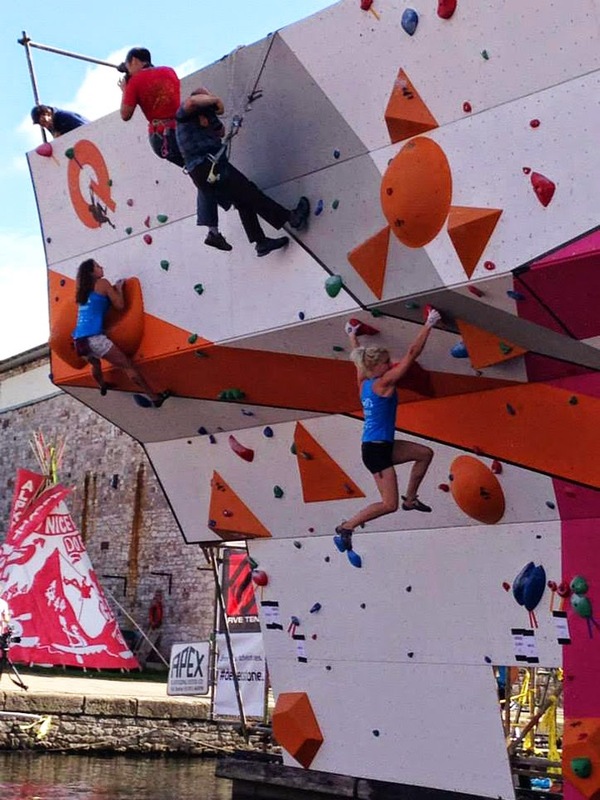 The 2013 women’s champion Sasha DiGiulian surprised everyone when she fell off the overhang after her feet cut loose, leaving Andrea Szekely to slowly continue climbing with only a one minute time limit left to get to the top. Andrea fell from a lower hold than Sasha, giving way to Sasha to continue onto the quarter-finals. 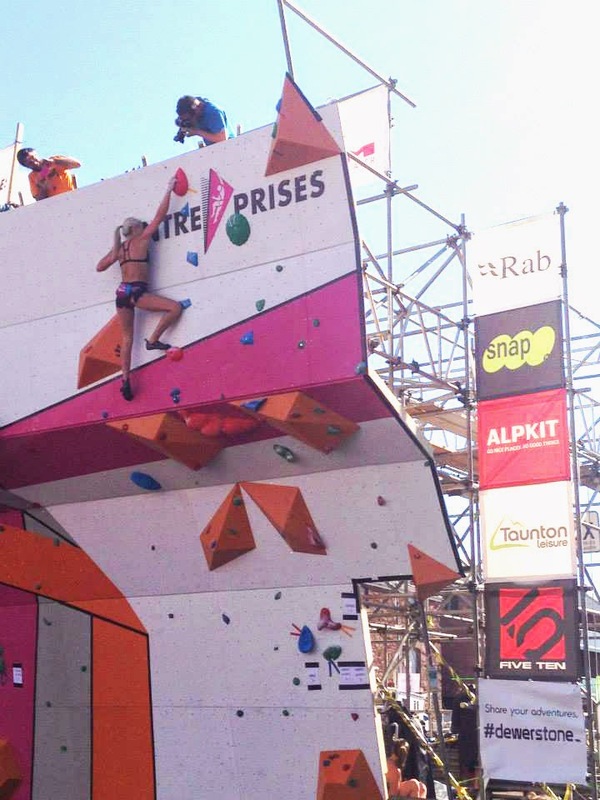 The semi-final included Claire Buhrfeind and Alex Puccio and both where head-to-head speed climbing up the wall in an intense race. Claire managed to secure her place in the final by reaching the top first with only seconds between them in a photo finish. Delaney Miller and Grace McKeehan also competed in the semi-final where Grace struggled to keep up near the end, giving way to Delaney for the final round. The route setters were a bit too eager to re-set the route for the men’s round and prematurely started tweaking the route and rearranging the holds. This caused a slight delay for the women’s finals, as the route setters had to put back what they had undone. Newcomer Claire Buhrfeind took first place for the women in the final, competing against Delaney Miller who came second place for the second year running. Both now so familiar with the route, climbing it for the fourth time that evening, they were almost head-to-head all the way; Claire used her speed skills for the final finishing moves to victory. As the sun disappeared behind the mountains it was the turn of the men’s competition, with the route setters adjusting the routes to increase the difficulty making the moves more dynamic. 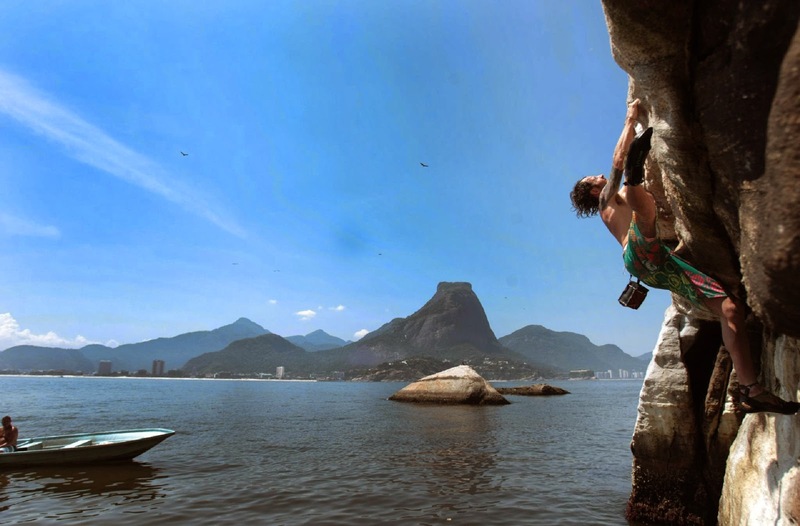 Chris Sharma reported that almost every male had made it to the top of the wall in the practice rounds, so it may come down to the speed factor, and he was not wrong! First up were Sean McColl Vs Isaac Caldiero. During the qualifying round Isaac took a bad fall after courageously leaping for the next hold in the middle of the overhang 30 feet up. He spun out of control resulting with him landing awkwardly and bursting his eardrum. The bad fall had not deterred him, as he climbed confidently and quickly but dropped off near the top, sending Sean to the next round. In the quarter-finals, last year’s champion Jimmy Webb, raced Sean McColl which resulted in a speed spectacular. Abandoning all technique, it became a battle of speed and strength with Sean getting to the top first in just 42 seconds! The fastest anyone has ever climbed the Psicobloc wall. Everyone wanted to see Chris Sharma dyno his way to the top in the quarter-finals, and he didn’t disappoint as he went head-to-head with Jon Cardwell, with Chris reaching the top first with just seconds between them. Sean McColl was the proud winner of the 2014 men’s finals against Daniel Woods. The men in the final round turned up the speed and were forced into sprint mode. 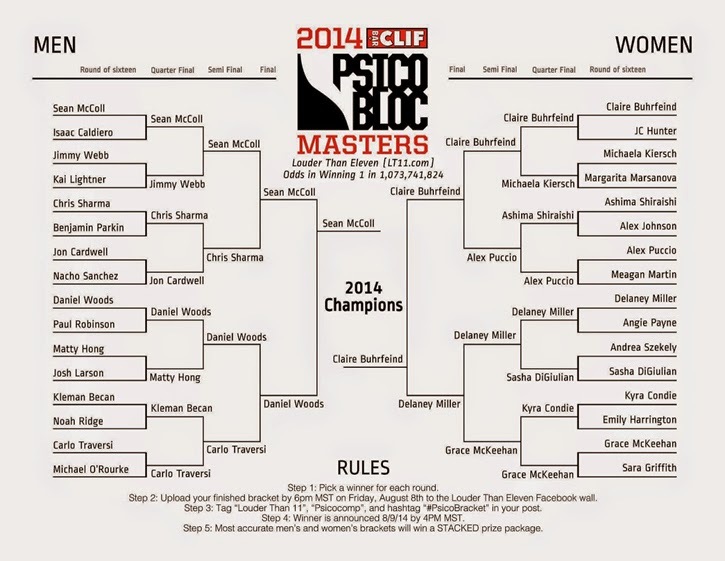 Sean McColl took the lead from mid-height to gain victory, with Daniel Woods just one move behind. The whole competition was streamed live on the internet from 7pm MDT, which meant it was broadcast live late at night in the UK. If you missed the action, the entire competition can be viewed online at Psicocomp.com or individual rounds can be viewed on Psicobloc's YouTube channel. If you want to get involved in a competition like this closer to home, then don’t forget about the first ever deep water soloing competition being held in Exeter UK on 30th and 31st August 2014! For more information visit the Quay Climbing Centre Website. 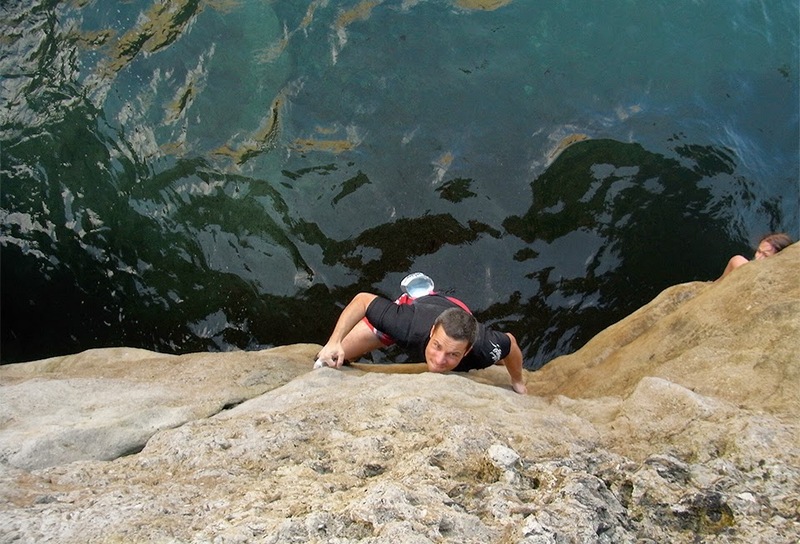 Locals get to try out the 50 foot high deep water soloing wall in Utah ahead of the Psicobloc Masters Series. Jealous? We are! The wall is open to the public for a limited time including two routes with varying degrees of difficulty. What is Psicobloc? Steven Jeffery from Momentum Climbing discusses last year's Psicocomp event and the upcoming 2014 Psicobloc Masters Series. 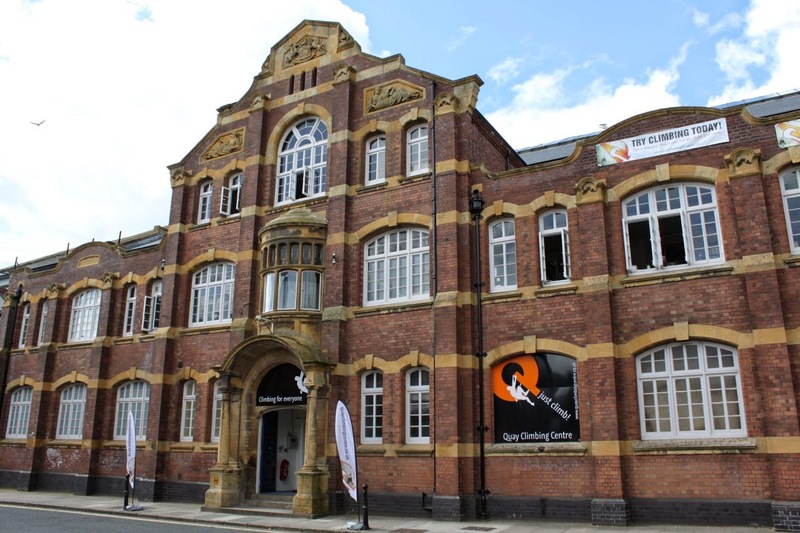 The Quay Climbing Centre in Exeter will be hosting the UK's first deep water soloing competition! The artificial competition wall will be built in the city’s canal basin. The canal basin and the Piazza Terracina provides the perfect water space and large arena area for spectators to view the competition up close. 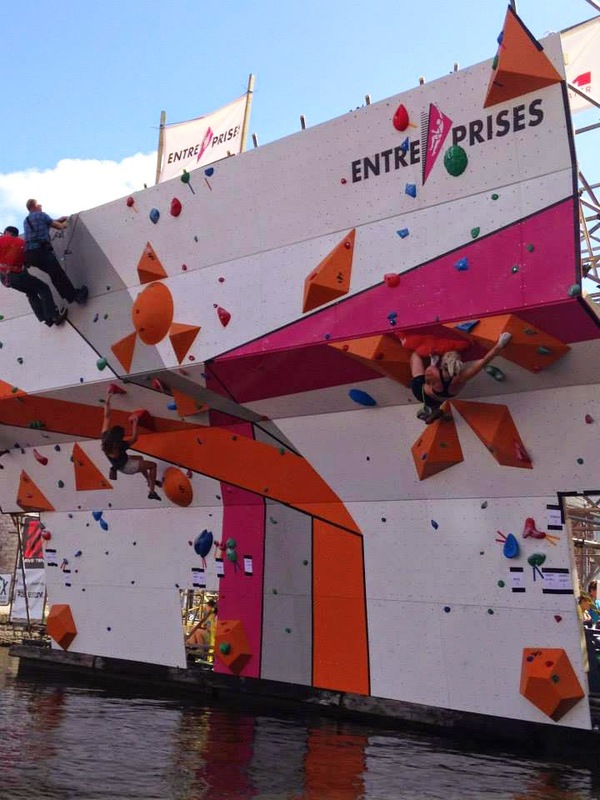 Entre-Prises UK are delighted to announce that they are to design and build the climbing wall for the Deep Water Solo Competition; they will also be sponsoring the event along with climbing equipment manufacturers such as La Sportiva, DMM and others. The wall itself will measure seven metres high by twelve metres wide with a three metre overhang and has been designed to enable three participants to compete simultaneously, adding to the visual spectacle of the event. The competition problems will be set by leading UK setters and they will start at V3/4 and work up to V14! The city council has provided strong backing for the event, recognising the huge publicity it could bring to the city’s tourism. The competition weekend will be split between the qualifying rounds that will take place on the 30th August and the finals which will take place on the 31st August. There will be an elite (invitation based) category and an open category for over 16 males and females. There is also an under 16s category (12-15 years of age) to ensure that there is a chance for all climbers to take part. Only one hundred and fifty spaces will be open to competitors with thirty of those spots going to the top UK climbers. 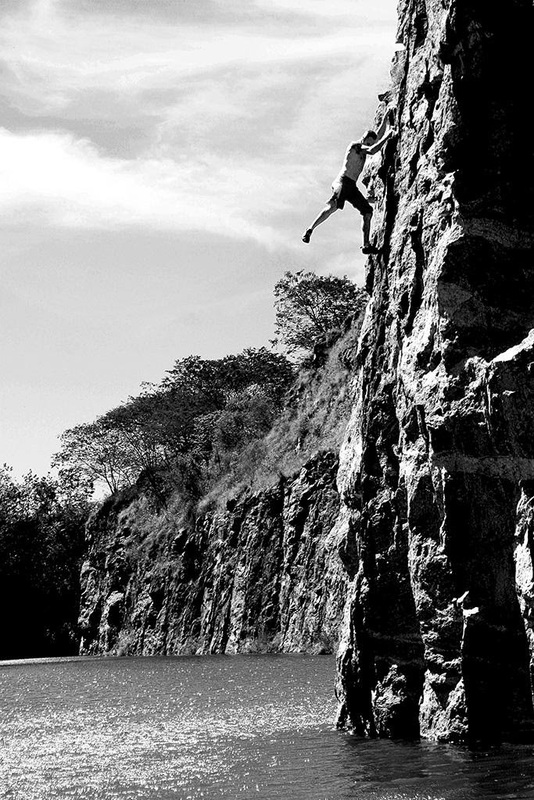 The first deep water soloing competition took place in Bilbao, Spain in 2010. Details can be found here. And not forgetting last year’s high deep water soloing wall in Park City, Utah, USA, article can be found here. Tickets are available until 30th June 2014 at £20 each and are available on the evenbrite website. Facebook page can be found here.